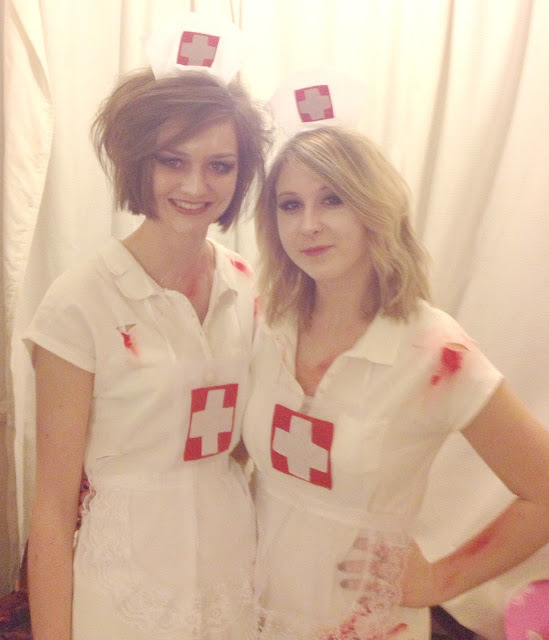 So every year when halloween rolls around I can't think of anything exciting and just reach for the cat/mouse/some sort of animal ears ('I'm a mouse duh...') But because this is our last year at uni, me and my housemate Kat decided we wanted to dress up properly! 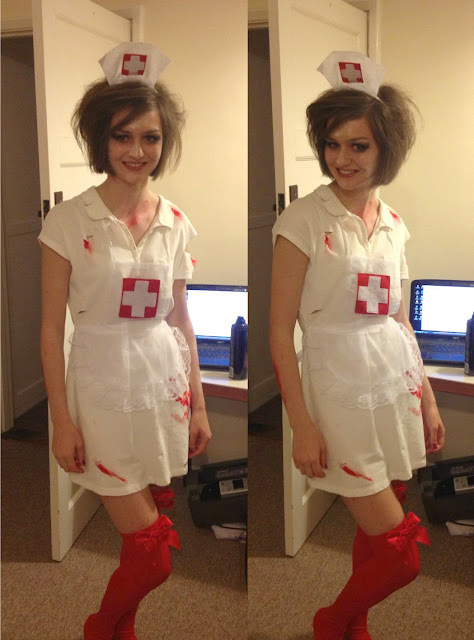 But of course on a student budget so we went for a DIY Dead Nurses! 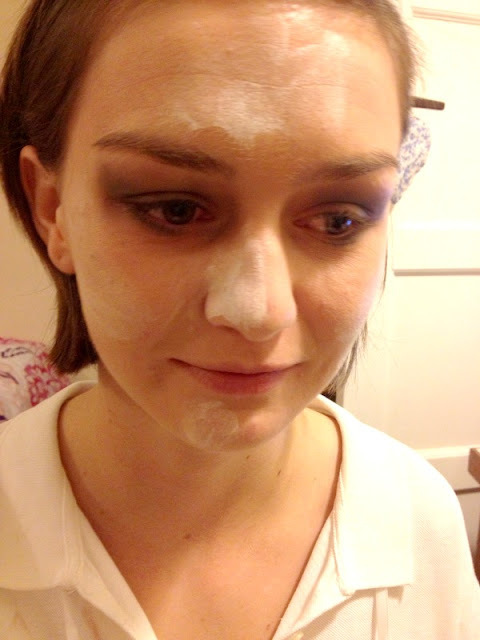 Step 1: Kat already had her base makeup on so then I smeared some white face paint in random places on her face, then applied a matte grey from the Lovely day palette in her crease and under her eye and blended it out. 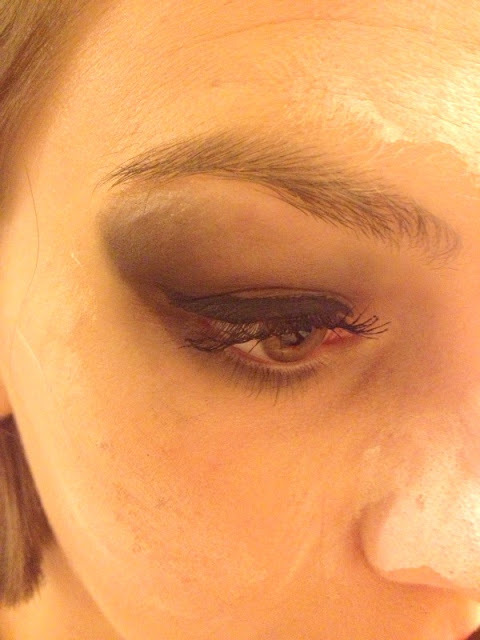 Step 3: I then drew a thick line with the cream eyeliner ending in a small flick at the edge of her eye.Step 2: I then used Ebony from the in the light palette and applied it to the corners of the eyes, blended this out and made sure the line from underneath her eye up to the corner was neat and straight. 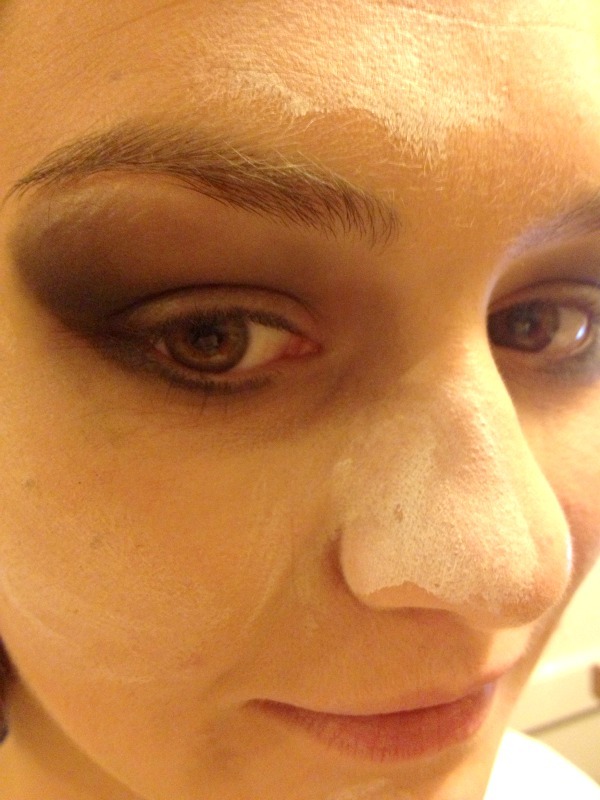 Step 4: Apply mascara. 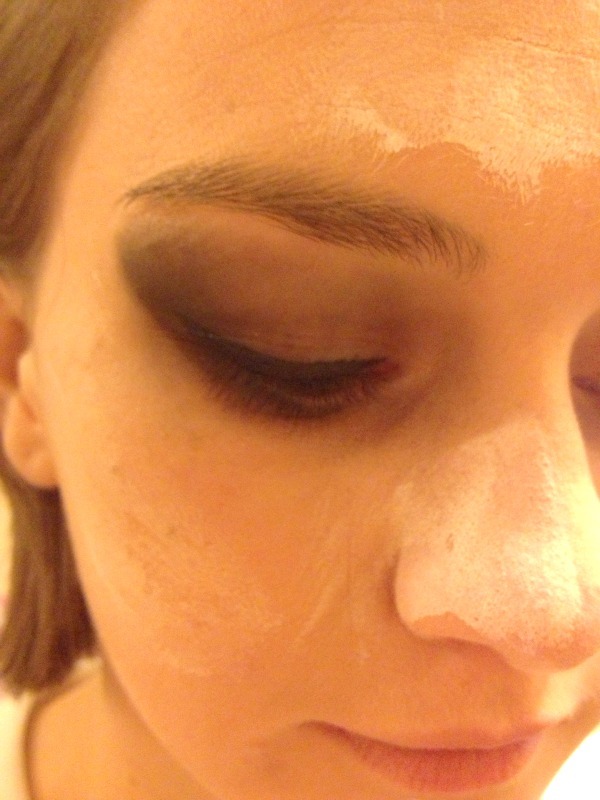 I used false lashes on myself as well for a more dramatic effect. Step 5. Apply Benetint to the lips. 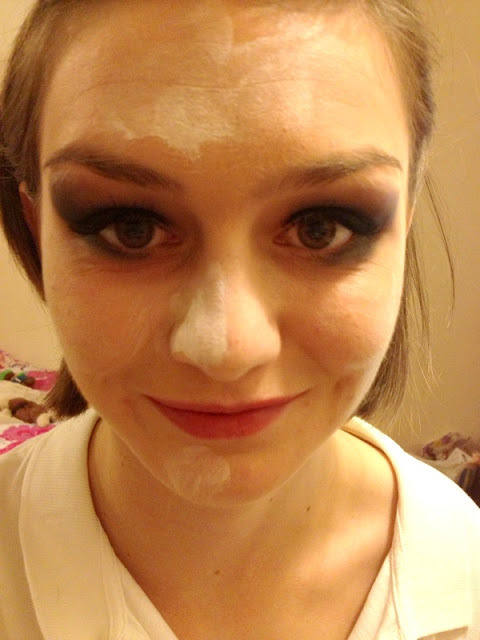 So that's the makeup done! 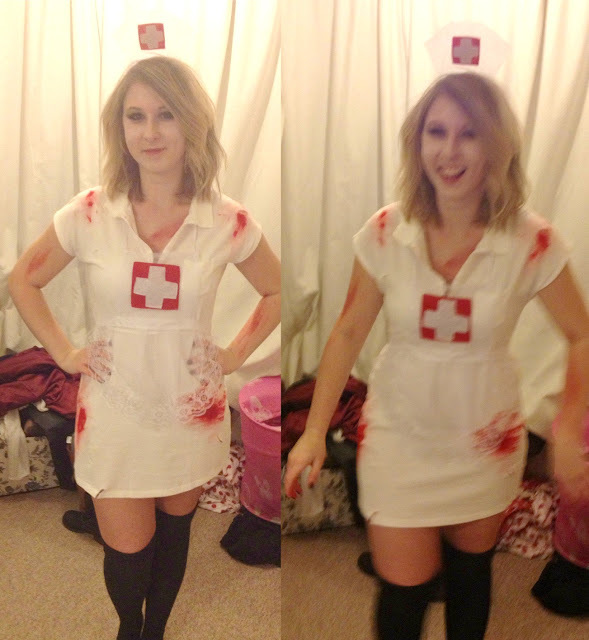 Then we back combed out hair, and smeared fake blood all over our dresses and all over our arms and legs! 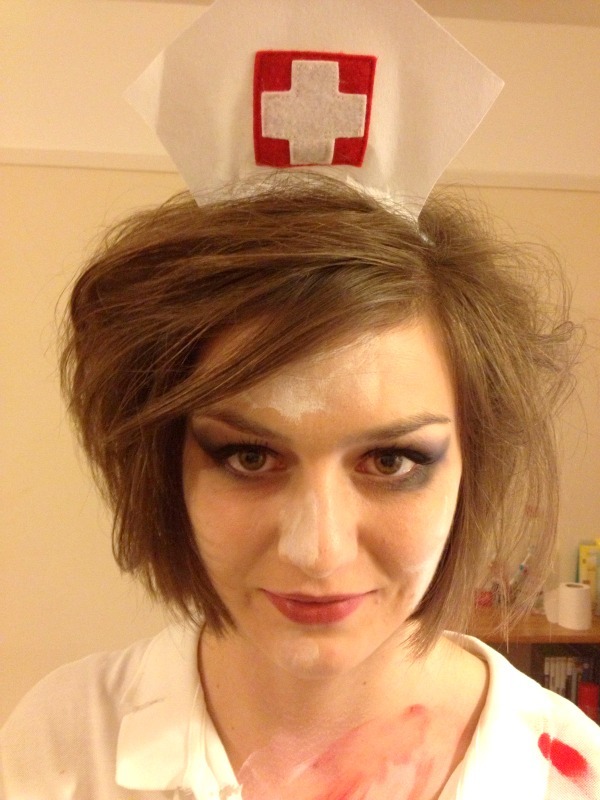 Tennis dresses: £7 H&MApron and headband set £5 from You Need Us. P.s. 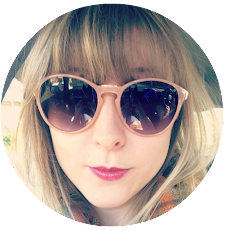 Did you see the last ever Guest-ober post by Clare from a bit of this and that? aww this is so cool, love the look!